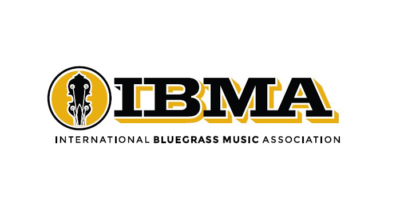 Unlike rock ‘n’ roll, bluegrass music’s boundaries are often defined in very narrow terms and that has caused some bands to carefully consider their place within the genre. 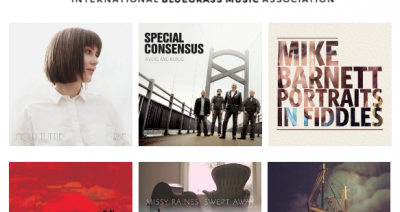 But, in order to survive, everything must evolve… even bluegrass. Enter the Infamous Stringdusters, the very model of a major modern bluegrass band. 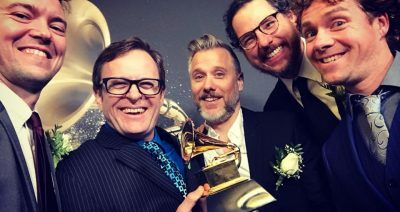 On The Laws of Gravity, that’s exactly what the Infamous Stringdusters — Andy Hall (dobro), Jeremy Garrett (fiddle), and Travis Book (double bass), in addition to Falco and Pandolfi — have done. Their seventh studio set further proves that the band’s collective whole is far greater than the sum of its individual parts, as the song selection and pitch-perfect performances weighs the Stringdusters’ appeal to traditional fans against their musical quest to attract new listeners. It’s a balance that comes naturally to the band. Here, trad-leaning tunes like “Freedom,” “A Hard Life Makes a Good Song,” “Maxwell,” and “1901: A Canyon Odyssey” pick hard and soar high, letting trade-off solos and layered vocal harmonies work their magic. 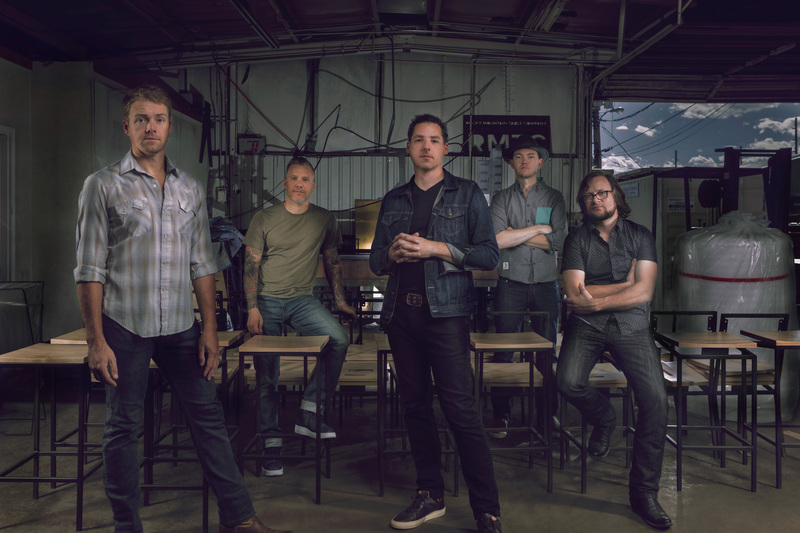 As it continues on, Gravity reaches its roots deep and wide, but never sacrifices the wings of the band, as exemplified in tracks like “Back Home” and “This Ol’ Building” which pull from the blues and R&B strands of the Stringdusters’ musical DNA. Letting the past inform and the present propel, the Stringdusters’ style and substance are uniquely Infamous. Since 2007, the band’s ever-evolving artistry and boldly creative collaborations — including Ryan Adams, Joss Stone, Bruce Hornsby, Joan Osborne, and Lee Ann Womack — have pushed them past the edges of traditional acoustic music and carved out a musical niche all their own in the hearts of fans and critics, alike. Over the past couple of years, they released 2015’s Undercover, a covers EP, followed by 2016’s Ladies & Gentlemen, an album featuring multiple female guest vocalists. Those projects may have seemed like artistic tangents, but they actually proved to be a pretty direct route from there to Gravity.